Self drilling screw with hex / flange head and EPDM washers. For fixing sheet to timber. Salt spray tested to 1,000 hours. 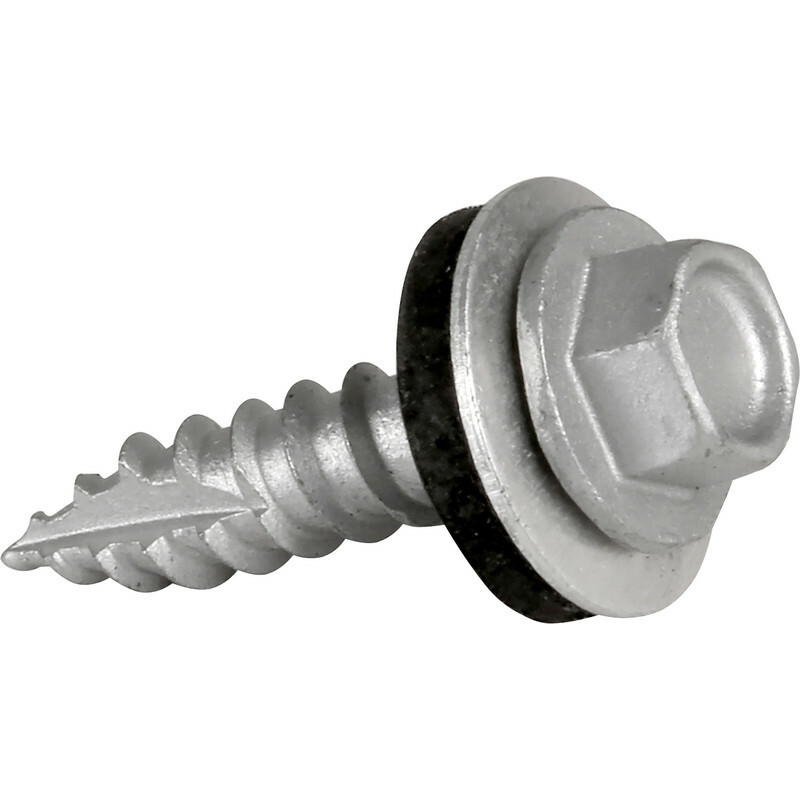 TechFast Hex/Washer Self Drilling Roof Screw 6.3 x 25mm (100 Pack) is rated 4.6 out of 5 by 19. Rated 5 out of 5 by waltinwales from As Good as They Get Top quality roofing screw and washer. Been buying them for some time and not had a problem using them on corrugated roof sheets. i live by the sea and they perform well even with the salt winds. Good sharp point and coarse easy drive thread slices through tin sheet. i use them to join to wood or metal purlins (i usually drill a 1/8th" piolet hole in thicker stock, but also use an automatic center punch or just give em a tap with the hammer to get them started on tin as the points are so sharp they can whizz off when used on round profile corrugated sheets). Not cheap, but they should last the life the tin. As they're on offer i should stock up. Rated 4 out of 5 by All trade from Do the job Used to secure metal sheeting and certainly did the job but as they were being driven into metal they required some pressure to get going! Rated 4 out of 5 by All trade from They do the job Used to secure metal sheeting and certainly did the job but as they were being driven into metal they required some pressure to get going! Rated 5 out of 5 by Scrooge from Great product Used these to secure Galvanised roofing sheets to timber rafters. Easily cut through the sheets for a water-tight job.